It sat for many years upon a lightly “haired” head. It heard the brum-brum-brum of Dad’s chainsaw deep in the woods. It drank the sweat that ran from Dad’s brow as he planted potatoes in the blaring sun. It shielded Dad from blow after blow from anxious and frustrated deer-flies that knew they were close to a fresh meal but just couldn’t figure out how to get it. The powerful blow from a raised hat that swiped the air was never enough to deter the voracious winged predators. It bore witness to the screams the acres of raspberries directed towards Dad, “Prune me, feed me, till me, pick me!”. It smelled the maple that curled up and around Dad’s head as he smoked a batch of Billy Burgers for week-end guests. It yielded to the grasp of Dad’s hand as he ventured out the back door of the house on the farm, hell-bent on beating those, “damned potato – bugs”. It rested quietly on the shelf of the cedar closet Dad built for mom on the farm. It pines for Dad now on my sofa. It beckons to Dad to be worn. It pleads with me to not leave the family. It sleeps – maybe even dreams. 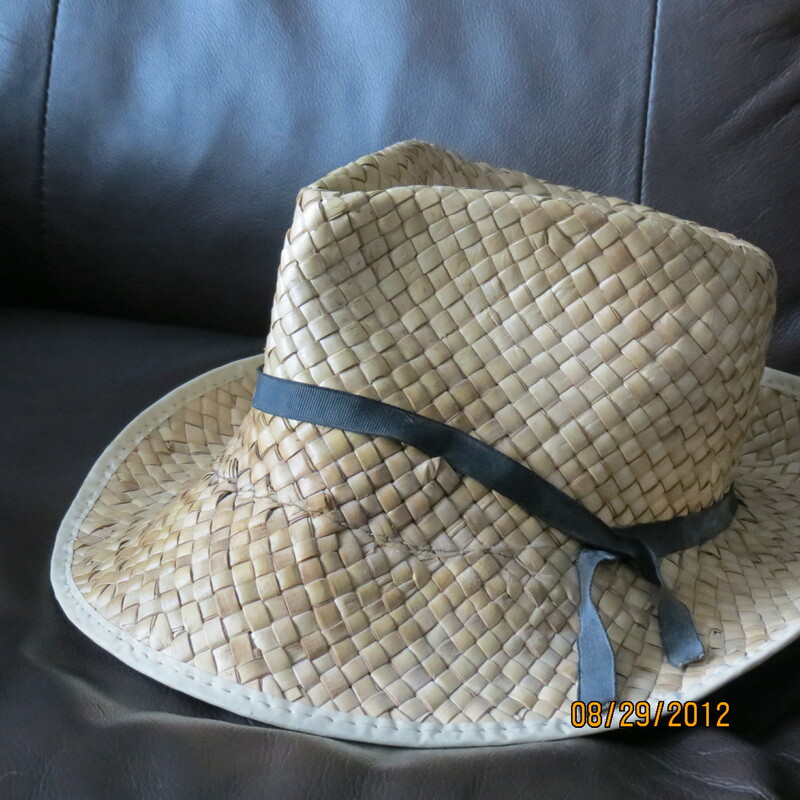 It hats could talk… I know it would have tales to tell. Thank-you. Thank-you, Laurie. It’s easy to feel one’s heart when it is so threaded into the fibres of one’s memory! Most people would see that & say – It’s just a hat. Well – you just told us otherwise. A beautiful post! Thank-you, Laurie. It’s easy to feel one’s heart when it is so threaded into the fibres of one’s memory! And make you both very glad. 🙂 Cheesy but it’s wonderful that these things mean so much to you. I can still put my father’s plaid green coat on and smell him all these years later. Whether the smell is there or not, I know it kept him warm, dry (yay wool!) and it did the same for me. 🙂 you are very welcome.